Register 6 weeks before the PBMP date for a special early bird discounted rate. Plus, receive the 4th ticket free with 3 paying attendees. Dates and locations are subject to change, refer to the PADI Pros’ Site or contact your Regional Manager for the latest information. If you have further questions please contact alison.hush@padi.com.auor your PADI Regional Manager. Blogging is not a new concept – it’s been around for many years. In fact, the first year that we introduced ‘Blogging’ as a presentation topic at our PADI Business Academies in Asia Pacific was back in 2013. At the time, I could comfortably say that next to no PADI Retail & Resort Members were engaging in blogging and majority didn’t really understand what a blog was and how it would help their business. A blog is simply an online newsletter, sometimes traditionally named ‘News’– when set up correctly, it is housed on your website domain or on a sub-domain. It is the place where you can write relevant articles related to your dive centre or resort to not only retain your current customers but also to hopefully acquire new customers. Blogs are also considered the middle ground between your website and your social media channels. There are two main reasons to adopt blogging as part of your digital marketing strategy. To increase your website presence – blog articles add to the size of your website as they add additional pages that include important keywords in which you hope to rank on within Google and the other search engines. Adding a blog article to your website also aims to keep your website updated with fresh content – something that Google favours within their algorithm. Customer acquisition and retention – by posting relevant content that suits your target audience, the articles that you add to your blog can help to attract new customers and also keep your current ones informed, therefore assisting you to retain them with the aim to have them continue their PADI scuba diving education with you. How Often Would I Need to Write a Blog Article? When deciding whether you have the time to start a blog, you need to consider that you need to have the resources and time to write a blog article that is of a decent length (approx. 500-600 words) at least once a month, continually throughout the year. Of course, the more articles that you post each month the better however this of course depends on what your PADI Dive Centre/Resort can handle. But I Don’t Know What to Write About! When deciding what topics to write about, always stick to the 80/20 rule – 80% consumer focused and 20% brand focused. Blog Title – use keywords to explain what your article is about (approx. 65-70 characters including spaces). Make sure it explains clearly what the reader will be informed of if they read the blog article. Headings/Sub-headings – using headings is a great way to break up your content, making the article look more attractive to the reader. Content – needs to be informative and include keywords and keyword phrases however ensure it’s written in natural language for the reader, not for the search engines. Imagery & Videos – add attractive images/short video clips to attract the reader and also use them to break up the text within your article, so it looks more pleasing on the reader’s eye. Humour – if you can, add some humour into your writing. This can also help to build/add personality to your brand/content. Links (internal & external) – hyperlink any keywords within your articles back to relevant pages on your website to help flow traffic back/through your website or alternatively link out to external websites to provide the reader additional information/resources. Call to Action – add one to the end of your article to provoke an ‘immediate action’ – this can assist to encourage the reader to seek more information, contact you, make a booking etc. As you can see from explanation the above, blogging is a valuable tool that can assist your dive business in order to improve your search engine ranking, acquire new customers or retain your current ones – plus, it’s not that hard! Enlist the help of your dive staff to help lighten the load – have brainstorming sessions to come up with topics/keywords that can be blogged about and use a social media editorial calendar so that your staff are clear on when their article is due to be posted online. Plus, before hiring new staff, make sure you add blogging as part of their role – in the end it’s only going to help your business and save you time! For additional information or assistance in setting up a blog, please contact your PADI Regional Manager today. The PADI Business Academy (PBA) has a primary goal of helping you operate a more successful dive centre or resort. By learning about or improving your skills in a range of business and marketing areas, you will leave the program more knowledgeable and informed than before you started. Plus – it’s a great opportunity to have some fun and network with your dive industry colleagues! PADI Business Academies have proven to be a success over the years, with hundreds of successful dive shop owners, managers and instructors attending to improve their skills. Register 6 weeks before the PBA date for a special early bird discounted rate. Plus, receive the 4th ticket free with 3 paying attendees. If you have further questions please contact alison.hush@padi.com.au or your PADI Regional Manager. This is your last chance to register for the upcoming PADI Business Academy Lite (one-day) in Brisbane on Wednesday 12th September 2018. Do you want to enhance your multi-channel marketing and business strategies this year and improve the overall effectiveness of your initiatives? Learn how by attending our one day PADI Business Academy Lite in Brisbane. There will also be dedicated workshop time, where PADI staff will help you work on specific action plans for your dive operation. You can also view the rest of the upcoming PADI Business Academies for 2018 here. This is your last chance to take advantage of the early bird offer for the PADI Business Academy Lite (one-day program) in Brisbane on Wednesday 12th of September, 2018. Register your place before Wednesday 1st August 2018, to receive AUD $20 off the cost of your registration. Plus, with every third paid attendee, you will receive a fourth free. So get in quick and register your spot today! Join us on Wednesday 12th September 2018 in Brisbane, for our one day PADI Business Academy Lite! This one day PADI Business Academy (Lite) will aim to highlight the importance of understanding and evolving your business model to meet the needs of today’s consumers. This is your last chance to register for the upcoming PADI Business Academy in Sydney on Wednesday 27th and Thursday 28th June, 2018. Do you want to enhance your multi-channel marketing and business strategies this year and improve the overall effectiveness of your initiatives? 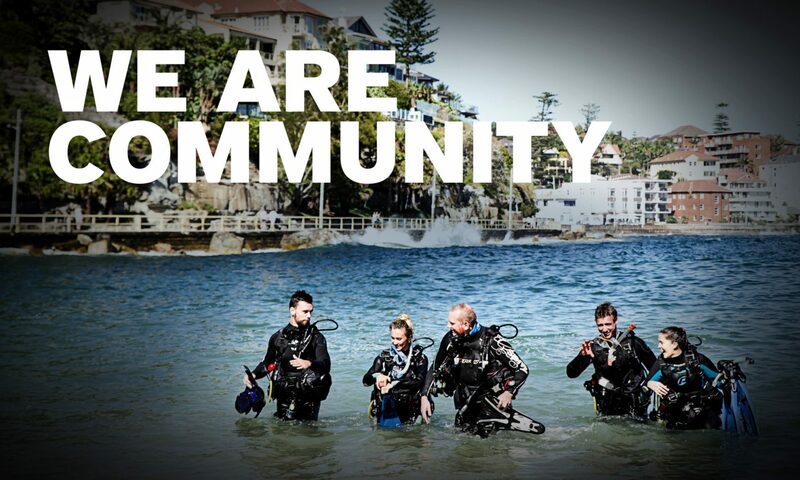 Learn how by attending our two day PADI Business Academy in Sydney. You can also view the rest of the upcoming Business Academies for 2018 here. Join us on Wednesday 27th and Thursday 28th June 2018 in Sydney, for our two day PADI Business Academy! This two day PADI Business Academy will aim to highlight the importance of understanding and evolving your business model to meet the needs of today’s consumers. Register your place before Wednesday 16th of May 2018, to receive AUD $20 off the cost of your registration. Plus, with every third paid attendee, you will receive a fourth free. So get in quick and register your spot today! PADI Business Academy Lite is Back in 2018! We are pleased to announce that the PADI Business Academy seminars will return in 2018. The PADI Business Academy Lite is a combination of presentations and hands-on workshops. You’ll explore digital marketing strategies for your website/social media channels as well as ideas and strategies for your business relating to sales and customer service to assist in supercharging your dive operation in 2018 and beyond. The following PADI Business Academy Lite Seminars are scheduled across Asia Pacific for 2018. Register today, to avail of AUD $20 off your ticket. You’ll also receive your 4th ticket free with 3 paying attendees. To ensure a custom-tailored learning environment, the number of attendees are limited, so don’t delay. If you haven’t attended a Business Academy Lite before, we strongly encourage you to not miss out and sign up today. PADI Course Director Training Course application. PADI Business Academy polo shirt. *Price does not include airfare, hotel or transportation costs. All other expenses incurred will be the responsibility of the participant. Dates and locations are subject to change, please refer to the PADI Pros’ Site for the latest information. Contact your PADI Regional Manager or email marketing@padi.com.au for more information. PADI Business Academies have proven to be a success over the years, with hundreds of PADI Dive Shops and Instructors having participated to develop their knowledge in a range of business and marketing strategies. At the PADI Business Academy (PBA) you will explore a range of digital marketing strategies for your website, email marketing and social media channels as well as sales and customer service strategies for your business. Throughout some presentations you will participate in workshops to help put into practice the knowledge you have gained. We look forward to seeing you at one of the below Business Academies. Contact marketing@padi.com.au or contact your PADI Regional Manager to register and ignite growth in all operational aspects for 2018 and beyond.